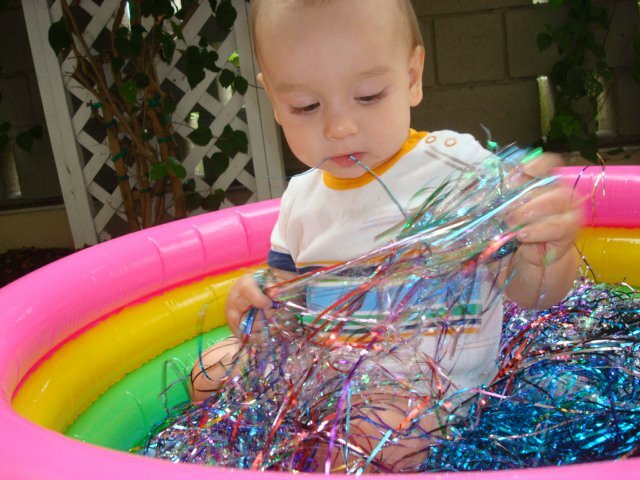 Here is a simple - and simply fun - activity to do with infants. All you need are a few bags of tinsel and a baby pool. 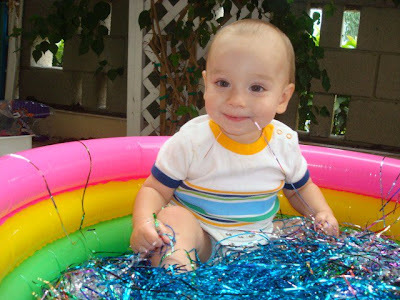 (Other things you can play with in a baby pool with an infant: ball pit balls, dry beans, dry oatmeal, etc). Is this safe? I thought tinsel can easily wrap around and twist internal tissue? Dry beans are a favorite in our house! I havn't worked with Tinsel in a long while so I forget :-p I thought it had the potential of cutting due to the edges...Still Very cute!!! 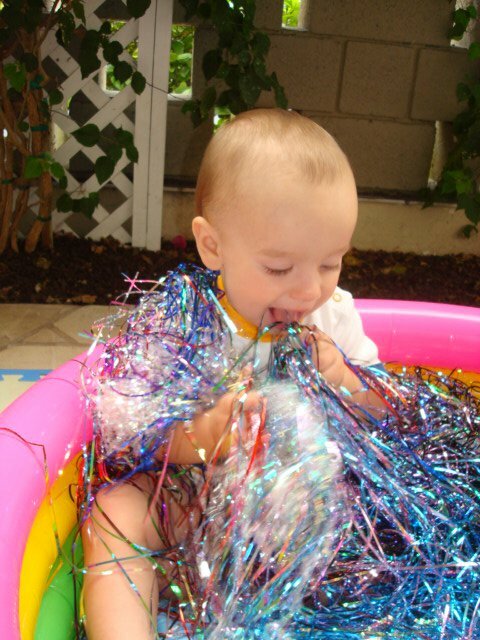 Eatting the play things has always been one of my major concerns with my daughter. I want to take her out with sidewalk chalk...but yea...I see it going straight to her mouth right now! :-p A Ball pit is actually on my list of things I want to get her though....that Mega Playland would be soooo cool to purchase!